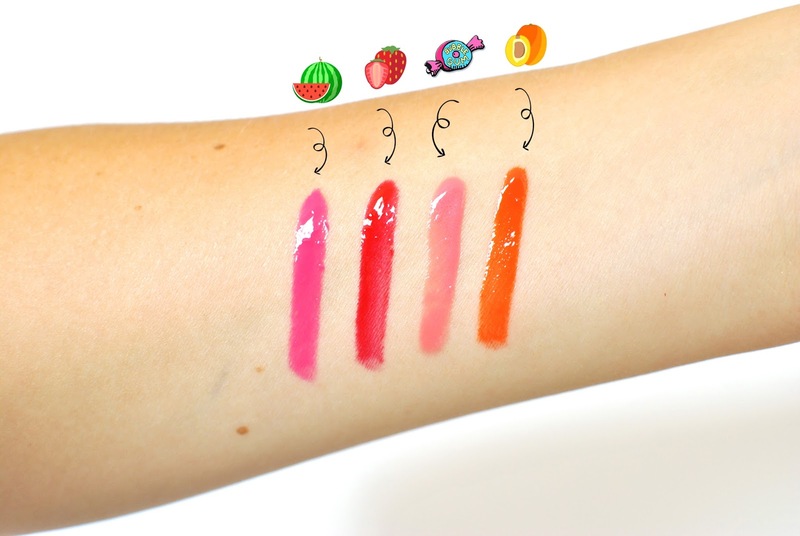 It's not quite a lipstick, not quite a lipgloss... it's liquid color for your lips! 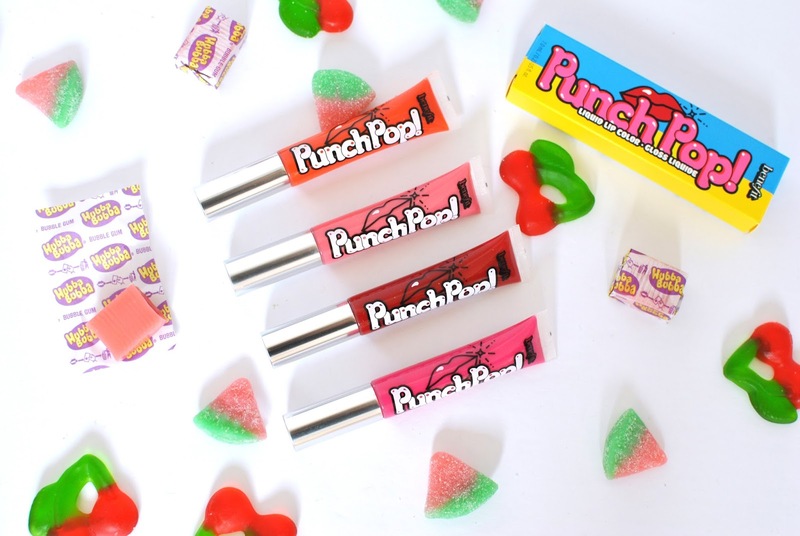 Benefit just came out with a fun new lip product that combines a pop of color with crazy shine and added vitamin E for moisture: the Punch Pop!. 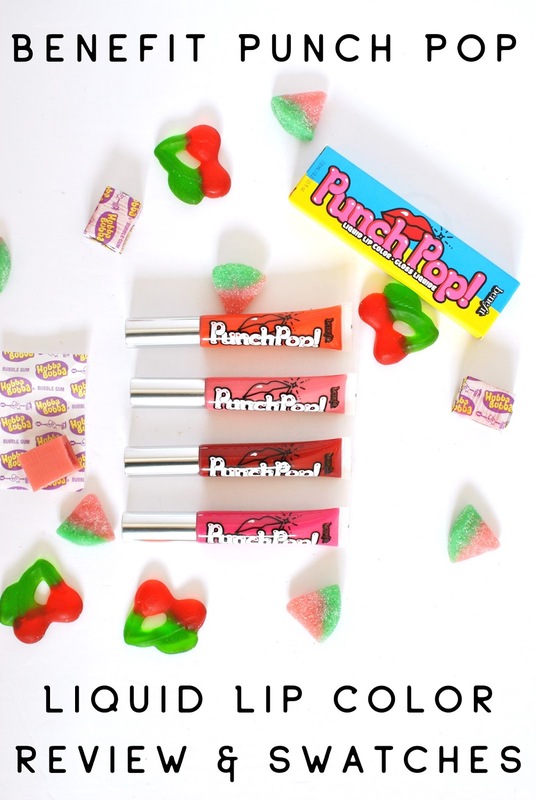 The Punch Pops come in 5 shades: Watermelon (hot pink), Strawberry (juicy red), Bubblegum (sweet pink), Cherry (pinky red, not pictured) and Mango (tropical coral). They are bright, highly pigmented, liquid but not watery, super shiny but not sticky. While I'm not a huge fan of the packaging and retro font, I think these are fun and so easy to apply and bring along they'll quickly become a staple in your makeup bag or purse. Do you think glossy lips are making a comeback?